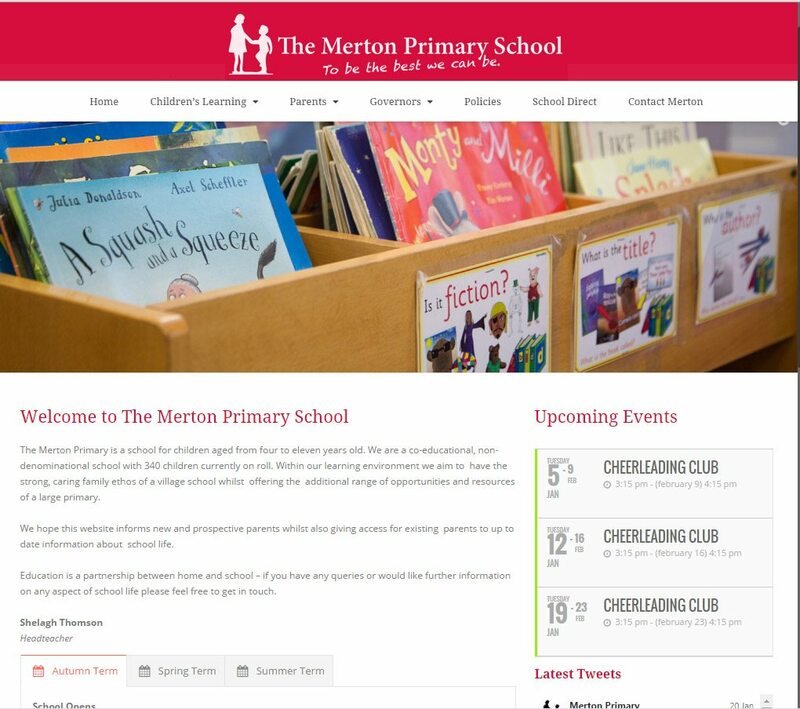 The Merton Primary School website is designed to inform parents, children and their families of the day to day workings of the school and its management. In addition, certain documents also have to be published on the school website to fulfill legal obligations. The site includes a twitter feed and detailed events section so that it always contains fresh content. Nicky Stephen Marketing arranged the photography for this school website too, as well as developing the site within a short lead time to satisfy the client’s requirements. This is one of several websites we have produced for the education sector.